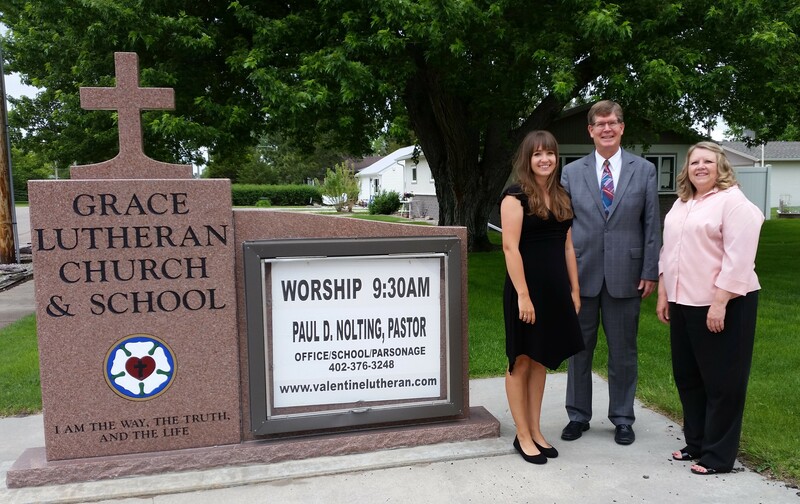 Paul D. Nolting was installed on May 28, 2017 as the Pastor of Grace Lutheran Church of Valentine, NE. 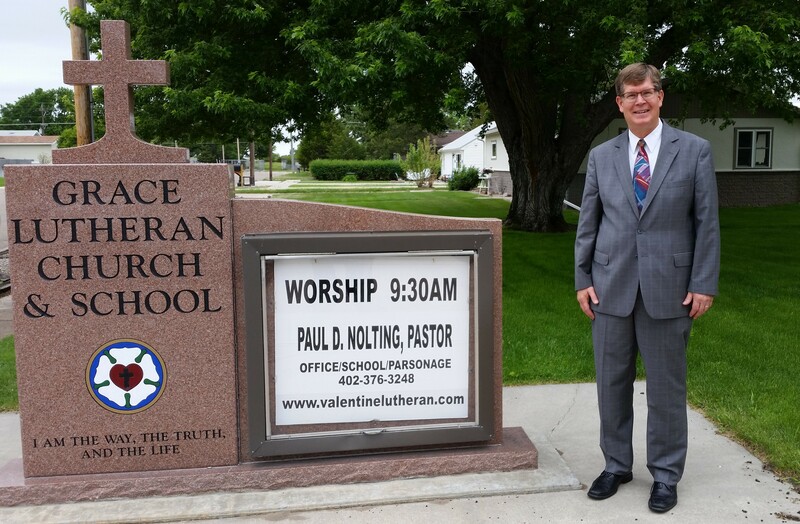 Pastor Nolting also serves as the Pastor of Peace Lutheran Church in Mission, SD and St. Paul's Lutheran Church in White River, SD. You can reach Pastor at 402-376-3248 or on his cell phone at 402-389-1383. From Left to Right, Dani Ohlmann (Director & Teacher @ Small Wonders Preschool), Pastor Luke, and Candice Ohlmann (Principal & Teacher @ Grace Lutheran School) . Many capable lay people help in the functions of the church, serving as officers, voters, Sunday School and VBS teachers, organists, and many other ways. Our chairman is Jacob Ohlmann, and you can reach him at (402) 322-1982.